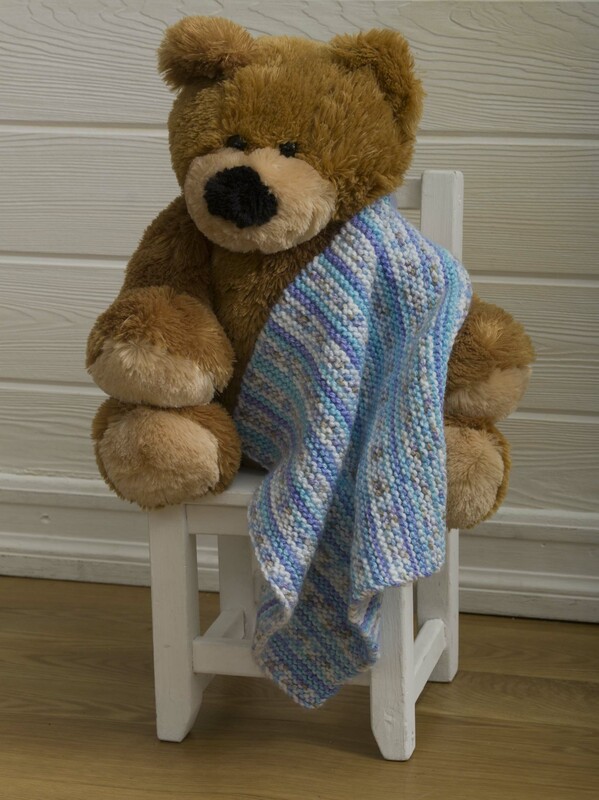 This is a knit pattern I did a while back for Knit 1-2-3 (no longer in publication) for Baby’s First Security Blanket. The design is in support of Newborns in Need, which distributes items free of charge to babies in the United States. FINISHED MEASUREMENTS: Blanket measures about 15″/38cm wide x 14″/35.5cm long. YARN: Worsted weight baby yarn (acrylic), 2 balls (about 265 yd total). Sample made using 2 balls #5107 Tide Pool Deborah Norville Serenity® Baby from Premier®Yarns. For a larger blanket, cast on more stitches. If making a significantly larger blanket, more yarn may be required and you may wish to work back and forth on a circular needle, as if working with straight needles, to accommodate the width of the fabric. This is a fun project for a self-striping or self-patterning yarn. Work in Garter st (knit every row) until piece measures about 14″/35.5cm from beginning or desired length. This entry was posted in Knit and tagged knit baby blanket pattern.